Receiver accept a standard 2" hitch/hook. 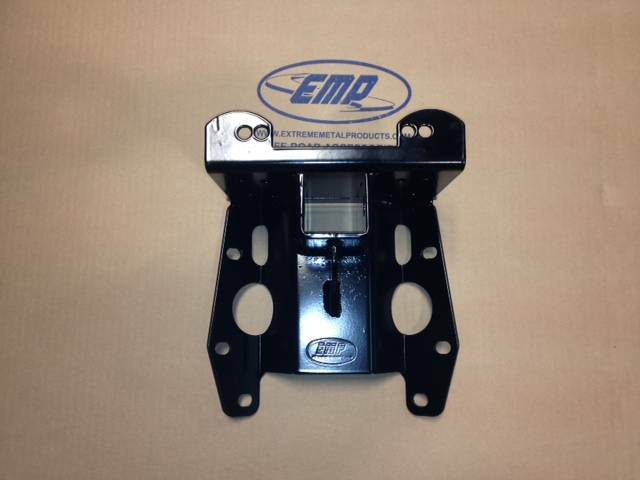 Winch plate has two bolt patterns; 6-5/8" wide x 3" deep and 4-7/8" wide x 3" deep. Accepts most 3000-4000 lb ATV Winches with the bolt patterns listed. Laser Cut and CNC Formed insure a perfect fit. Sometimes the only way out is the way you went in. Now, you can mount a winch on the rear of your Maverick with this mounting bracket. It also features a rear 2" receiver. Bolts to the rear of you Maverick without any drilling. 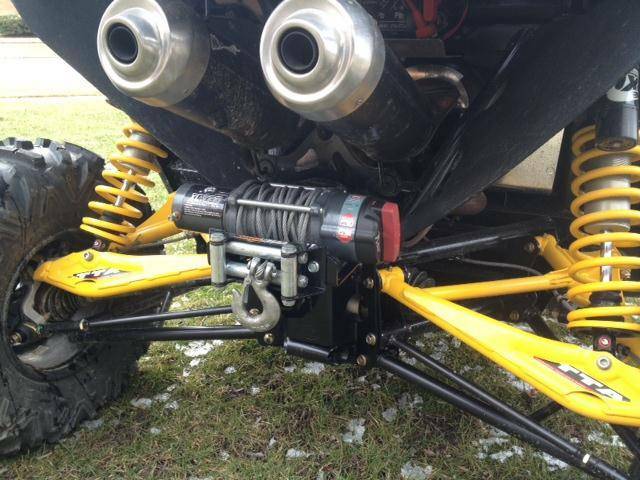 Accepts up to a 4000 lb winch.